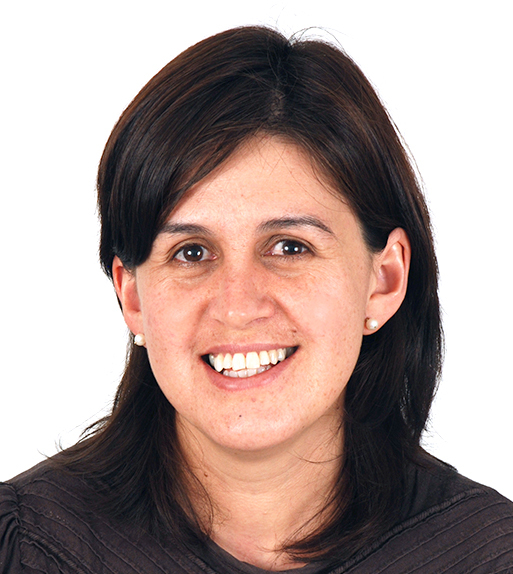 Natalia Palacios’ main area of work is the development of maize germplasm with high nutritional quality, including high quality protein maize, high zinc and high provitamin A maize, the evaluation of nutritional and processing quality of maize under different production systems and the characterization of maize for end-use quality. She has also recently become involved in the safety of maize kernels by evaluating different strategies for aflatoxin control. Her research also includes the development of food processing methods to increase health and nutrition benefits for consumers. Palacios has worked as a Quality Specialist at CIMMYT since 2005. She studied Microbiology at Andes University in Bogota, Colombia, and completed her doctoral studies in Plant Biology at the University of East Anglia and the John Innes Centre in Norwich, England. She later completed two postdoctoral placements at the University of Dublin, Ireland, and the Max Planck Institute for Molecular Plant Physiology, Germany. People who eat whole grain foods have a lower risk of almost all chronic diseases and are less likely to gain weight as they age, according to nutritionist Julie Miller Jones. Modern nixtamalization technology could increase maize uses and offer Kenyans invaluable benefits.